Deja is a gymnast and hip hop dance choreographer that lives in Cambridge, MA. For her, both Dance and gymnastics started as a child through a company called Jam’nastics Inc., also in Cambridge. At the age of 7, she began to learn and master gymnastics and later teach gymnastics to children at various schools in Cambridge. Deja has competed as a gymnast and a dancer in Newton, Apollo Theatre, Strand Theatre, The Pavilion and at various other locations in the Greater Boston Area. Deja currently teaches gymnastics to children from toddlers through age 10, for the City Of Cambridge at her former high school, Cambridge Rindge and Latin. 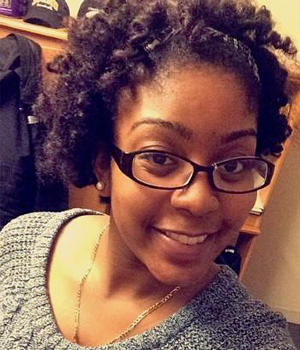 She earned her BA in Psychology at Umass Dartmouth and is pursuing to be a guidance counselor. Until she fulfills her dream of helping students in a high school environment she will continue to spread her love to children through gymnastics and dance.